Our focus on chain solutions within mechanical drive systems has made Donghua the preferred partner for leading original equipment manufacturers in agriculture, industrial drive technology and lifting and hoisting technology. OEM initial assembly and our selected MRO partners benefit from our knowledge of chain solutions because we make an initial contribution to the overall efficiency of the drive and/or conveyor right from the design phase. We are then able to supply the serial production of the complete chain solution, from assembly just in time. The success of our customer-oriented strategy and product focus is supported by the fact that we have a worldwide network of branches, MRO partners and production facilities at our disposal, which also guarantees constant quality and high delivery reliability in the replacement market. 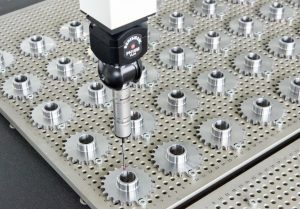 Striving for the most compact design possible and weighing up the consequences for wear resistance, maintenance and chain system life is crucial for many initial assembly departments. This consideration is becoming increasingly complex because the number of product variations continues to increase due to new possibilities in the field of, for example, material, post-production or composition. Donghua provides first assembly departments with both the engineering knowledge and the specialist production capacity that makes it possible to implement these possibilities as early as in the design phase. It goes without saying that European standards and regulations are central to all our processes. Knowledge is also central to our cooperation with MRO partners. By means of training courses we keep their knowledge of chain systems up to date and in cooperation with our engineering they can even supply customer or application-specific, specialty products. This ensures that our MRO partners are usually the specialists in the field of chains and chain systems in their region. For end users, our exceptionally complete chain range – 12,000 variants distributed across six series – is therefore only available through these partners selected by us. Donghua’s extensive knowledge of chain systems and production possibilities is best reflected in our collaborations with OEM first assembly departments and MRO partners who receive so-called ‘specialty-product’ requests. We are able to think along with you during the design phase, develop prototypes, test in-house and finally produce in series according to any desired quality standard.